Whether in the summer or cold season, a pool heater is a great investment. A good pool heater can make swimming more comfortable so that you won’t have to keep on moving inside just to stay warm. Therefore, if you happen to have a home pool, whether indoor or outdoor, it really pays to get the best pool heater that you can find. With that, we will provide you with a list of the best pool heater pump brands that we know of. That way, you will be able to pick which one you want even if you’ve never even used a pool heater before. Check out our pool heater pump reviews below. 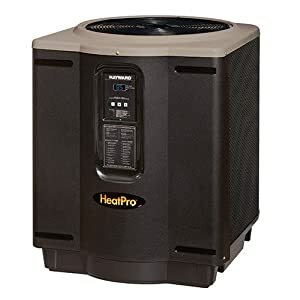 If you’re looking for a pool heater that’s very durable, then the Hayward HP212404T Heat Pro is the one you’re looking for. First of all, the heater fin is made of Ultra-Gold corrosion and rustproof material, thus giving it a long shelf life. It also has a UV-resistant body so that it won’t wear out even if it is under the sun. You can make this unit last for years if you know how to take care of it. Just like we mentioned above, most customers have the same sentiments. This heater is one of the most durable that you’ll be able to find in the market. Many customers have stated that their units last for months without showing signs of deterioration. 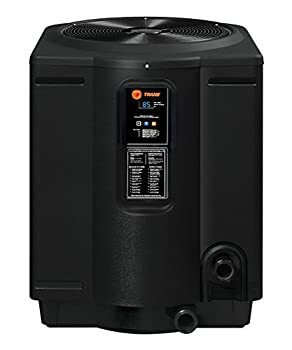 The AquaPro Vigoh77 Pool Heat Pump is one of the most reasonably priced pool heaters that also has a very strong heat emission – 75,000 BTU to be exact. 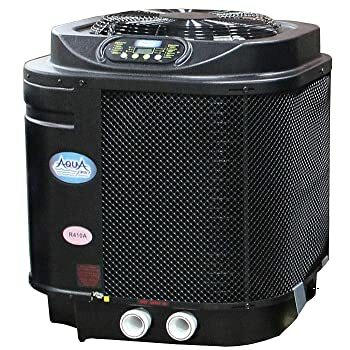 This is a great pool heater for those who are looking for something that’s rather affordable but provides high-quality performance and efficiency. What makes this unit rather unique is that it can cool and heat water at the same time. Thus, if you accidentally heat the pool too much, you can cool it down to balance the temperature out. The main thing that customers would say about this product is that it is affordable. While it is affordable, it still doesn’t scrimp on quality. With that, you can get a top-grade product without having to take out so much cash from your wallet. This is a great electric pool heater that you can use for your house pool. If you’re into techie stuff, you’ll probably love this high-performance residential pool heater. This heater probably has the best digital pool temperature settings that you’ll ever find. It has an easy-to-use digital display wherein you can set the exact temperature suited for your needs. It is also compatible with a solar pool cover to keep the heat in. What customers love about this product is the powerful heat emission this heater gives. It is able to emit up to 110,000 BTU of heat in a regular indoor pool. What’s even better is that you can even control the emission so you can be totally comfortable while swimming. Aside from its high tech controls, it is one of the best looking pool heat pumps that you can find. It’s got a really classy and futuristic look to go with the LCD control board display. It monitors the temperature and circulation of water with full precision. Also, it’s ETL listed, making it one of the safest heaters that you’ll find in the market. Due to its sophisticated controls, you can do a lot of things with this unit. Customers have noted the time override wherein you can make it run in hourly intervals. There’s also a run extender which is used for extending the machine’s running time in the event that it hasn’t reached the set temperature yet. Overall, customers loved the product. This big and bulky pool heat pump is used for bigger pools due to its high capacity and coverage. It is able to emit at least 55,000 BTU of heat and can cover a wide area of water easily. This is ideal when you are in the swimming season and would want to practice your laps everyday. Though it is big and bulky, it is still very easy to install. Unlike a lot of heat pumps, installing this would probably take only 30 minutes or less. With regards to efficiency, customers have absolutely no complaints. They love the product stating that it works on their home pools like a charm. They also commented on how easy it is to install it even if they have no previous experience installing pool pumps. 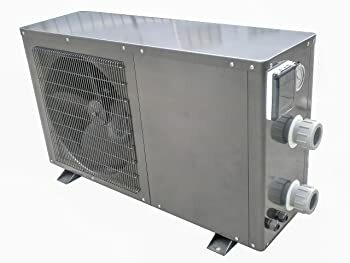 Those are the best heat pool pump brands that you’ll be able to find in the market. All of them are high-performance products that come from well-known brands. Through a comparison of their best features with the features of other products, we were able to narrow down our choices to these 5. 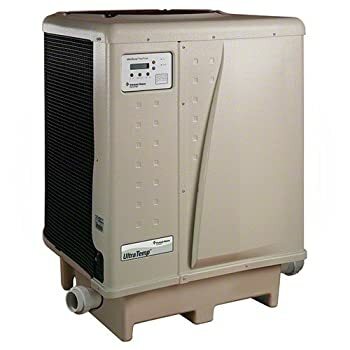 Therefore, if you’re looking for a pool heat pump for your home, try one of these products.